It’s me, the fossilized Hebrew guide from New Hampshire. Coined by Alpinist Freddy Wilkinson, the name sums up my 30 years of teaching rock and ice climbing in New Hampshire and throughout the world. Shim, that’s what people call me. Simple enjoyment in the mountains and making every days adventure a fun outing regardless of the grade or difficulty. I started teaching climbing in 1984, working from a small climbing shop called All Outdoors, in Manchester NH. Here I am all these years later still enjoying teaching climbing. I was fortunate to be involved in the first ever AMGA rock course and examination in the USA in 1990 as well. To sum up, I am looking forward to teaching ice climbing at the Michigan ice fest and meet the enthusiastic beginner( or experienced) climbers who make every day exciting and joyful and full of wonder. Jim Shimberg started Rhino Guides in 1985, while taking 2 friends climbing at Cannon Cliff, on the Whitney Gilman Ridge. Now, 22 years later and with almost 30 years of climbing experience, “Shim”, to all who know him — has guided throughout North America and the world, including trips to Iceland, Peru, Bulgaria, The Czech Republic, China, Scotland, Thailand and Canada. Jim has climbed in Alaska since 1987, with 7 expeditions to Denali, Mt Hunter, Mt Huntington, and other great peaks. Shim has guided from his home base in New Hampshire since 1985, and has many first ascents on ice, rock and mixed terrain to his credit. Called the “Custodian of Cannon Cliff”, Jim has cleared loose rock, developed trails and repaired poor anchors on the huge east face of Cannon Cliff, in Franconia Notch NH, for over 20 years. In addition, Shim is a Mountain Rescue Service “A” Team Member and participates in technical rescues throughout the White Mountains. He is also a Wilderness First Responder, and continues classes in medical training and rescue seminars. Shim made the first free ascent of the grade 6 ice climb ‘Call of the Wild’ at Lake Willoughby Vermont in 1995. This was the first grade 6 ice climb in New England. 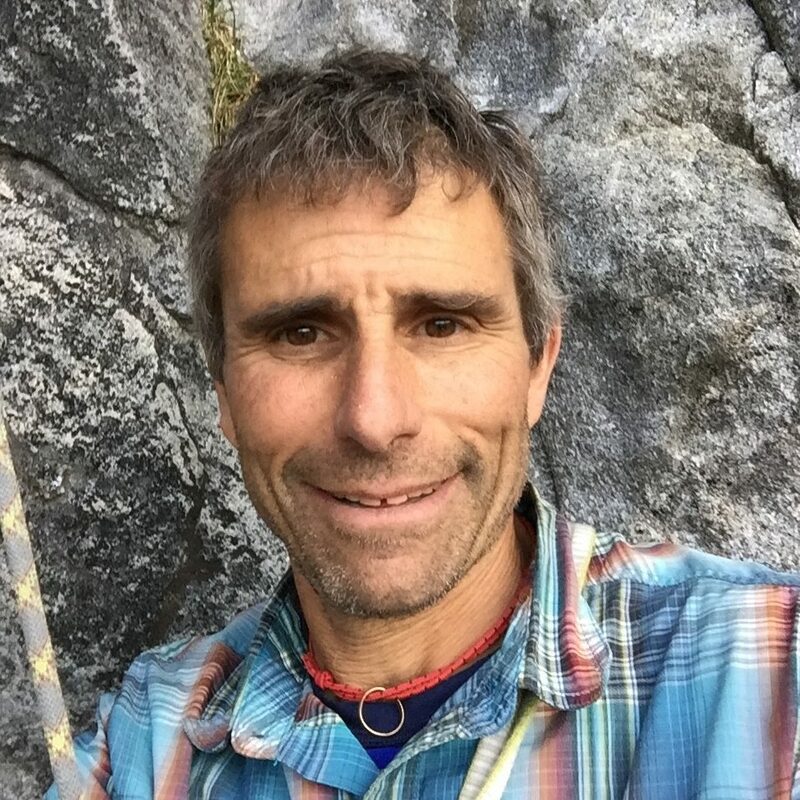 Jim also completed the first solo ascents of Omega at Cannon Cliff and the classic Repentance at Cathedral Ledge, and in the mid-nineties, achieved the first one day link-up of three routes at Lake Willoughby ‘Called On Account of Rains’, ‘The Last Gentleman’ and ‘The Promenade’. Jim also climbed 3 big routes at Cathedral in the winter for the first time ‘Repentance’, ‘Remission’ and ‘Diagonal’ – in 7 hours, a true tour-de-force for the time. Find more about Jim at his guide service, Rhino Guides here!